The HWBA is an all volunteer organization dedicated to bringing together and improving the Hewlett and Woodmere communities. 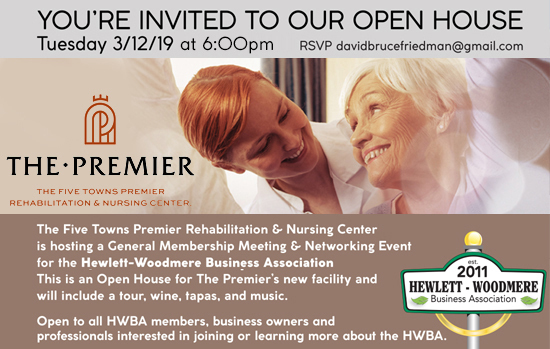 If you are a local organization or business, or a business owner living in the community, please help us by Joining the HWBA. If you are a community member, please consider Donating to the HWBA so that we can continue working for the neighborhood. From Irving Ave. in Woodmere to HHS, activities to follow! Click Here to Sponsor or Donate! © 2011-2019 Hewlett Woodmere Business Association, all rights reserved. Hosting provided by 8thPlanet.com.